Sweet Little Handmade Gifts for your Love! Lots of handmade projects and ideas to make your sweetheart swoon! 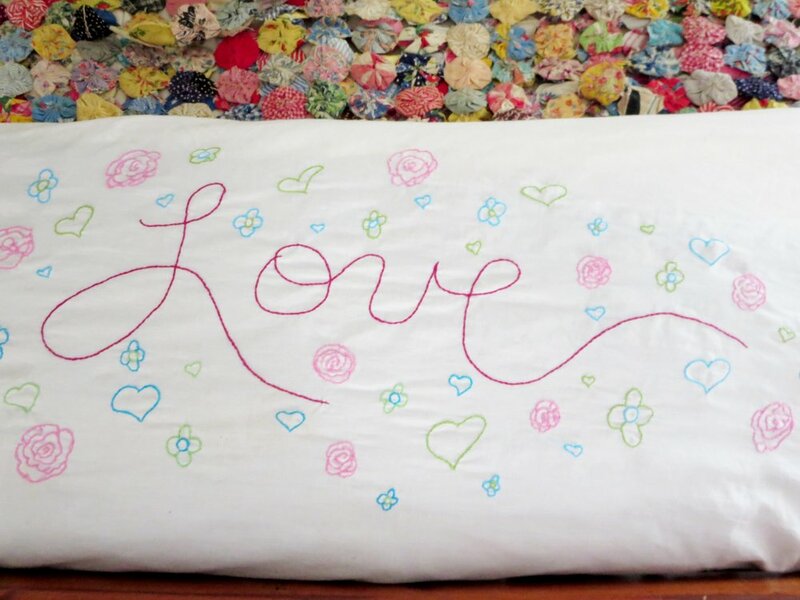 Embroidery Tutorial for creating hand written text on duvets, pillowcases, napkins etc. Also check out Embroidery Tutorial on this page from Sublime Stitching. Every year of Valentine's Day my husband and I write each other a love poem. We purchased a handmade blank book, now 21 years ago.